One of the things I don’t understand is what people find surprising. For example, I flew home from Auckland last Thursday — early check-in, so the common physiological imperative that normally hits me around 9:30 didn’t strike until I was 35,000 feet in the air above Bass Strait. 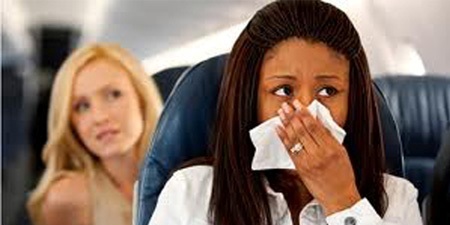 Every time I looked, there was somebody in the queue to use the toilet, plus I knew it wasn’t going to be pretty, and that anything short of explosive decompression would be insufficient to stop the smell from leaking back out into the main cabin in what might be considered an act of terrorism. So I braced myself, puckered up, and fought the spasm until it went away. In this way, I managed to stave off the inevitable until we were back in Sydney. Spare me. Save it for something genuinely unexpected. As in, “What? A dump in the Australian Literature aisle of my local library? 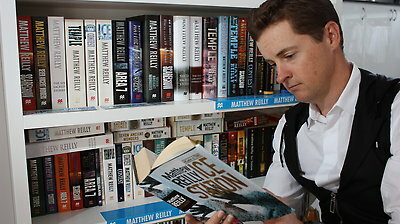 How could it be?” And although this could appear surprising on the face of it, a canny investigator might consider how close the hapless shitter came to the Matthew Reilly section, because rather than an exhibit to a crime, it might actually constitute admissible evidence of involuntariness, (which if you’ve been paying attention you will know is a legitimate defence). Like finding vomit on the floor next to ‘The Fictional Woman’ (2014) by Tara Moss. Or a dead body swinging from the roof next to Di Morrissey. Plus, while this sort of phenomena might surprise your average mundane library-goer, I doubt the librarians would raise an eyebrow. Surely the fact that people still walk into libraries at all is much more surprising? That aside, in general terms, I concede that a stinking log in the fiction aisle is probably more unexpected than finding the same woodwork stacked on the floor adjacent to 616.3, diseases of the digestive system, which instead of surprising I would find thoughtful. Considerate, too, because that way when Chief Librarian comes in early the next morning and smells it, she’ll knows exactly where to look.